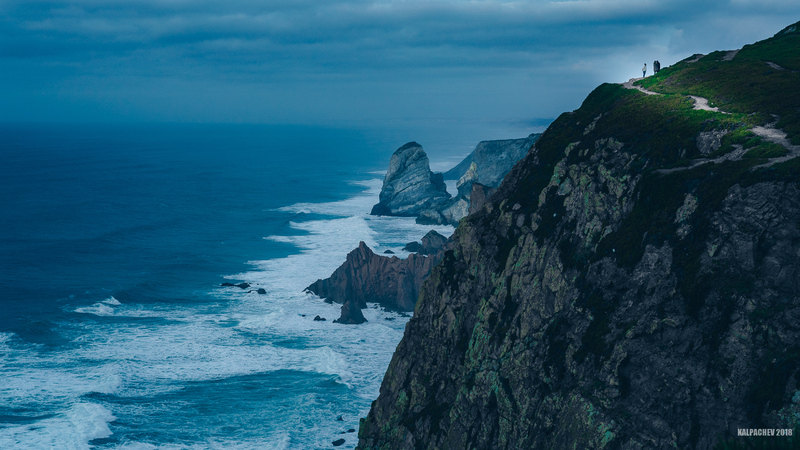 Cabo da Roca is a wild and rugged headland that marks the most westerly point of mainland Europe. The windswept cliffs of Cabo de Roca were believed to be the edge of the world up until the up until the late 14th century and the spectacular, desolate scenery adds to the allure of the location. The raging Atlantic Ocean waves pound the base of the massive jagged cliffs while challenging hiking trails follow the coastal paths. The isolated atmosphere of Cabo da Roca is enhanced by the very limited development in the area; there is a lighthouse, coffee shop and gift shop but nothing much else. This wind blasted and dramatic landscape is the attraction and this is what most visitors expect for the western edge Europe or end of the world. Cabo da Roca lighthouse was the first purpose-built lighthouse in Portugal and was completed in 1772 but its present form originates from 1842. The lighthouse stands 150m above the ocean, and this height means that the 1,000 watt light can be seen 46km away. The constant strong winds means that all plant life is low-lying and able to grow under the high saline conditions. The most prominent plant of the headland is the Ice Plant (Sour Fig), which is a non-native plant to Portugal but became an invasive species, smothering out local plants, after escaping from a local garden 3 decades ago. The Cabo da Roca Portugal headland is marked by a stone monument with a cross atop. The inscription on the side of the monument is a quote from the famous Portuguese poet Luis Camoes (1524–1580) who described the area as “Where the land ends and the sea begins”.